It’s good to see that Edzard Ernst’s latest book is already selling so well but if you haven’t yet got a copy, I hope a few reflections of my own will encourage you to buy it — especially if you are a devotee of any kind of ‘alternative’ or complementary medicine and especially if you think you already know all you need to know about Edzard Ernst. 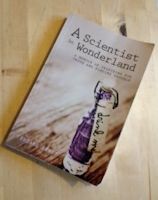 A Scientist in Wonderland is more than an autobiography and I’m not sure I can do justice to the riches to be found in its pages. Sometimes it’s reminiscent of a black comedy, other times it’s almost too painful to read. If you already understand what is meant by scientific rigour and how medical ethics depends on it, there are parts of Edzard’s story that will probably make you despair. But what if you don’t understand? What if you are one of those who accuses the man of being a liar, a fraud, a pharma shill — not because you’ve ever seen an iota of evidence that he is any of these things but because you are so deeply invested in what he famously opposes that this kind of vilification sounds intuitively right to you? Are you open-minded enough to read and learn from this book? I doubt it but I would love you to prove me wrong.